Currently out of stock. Register your email and we will tell you when it is back in. 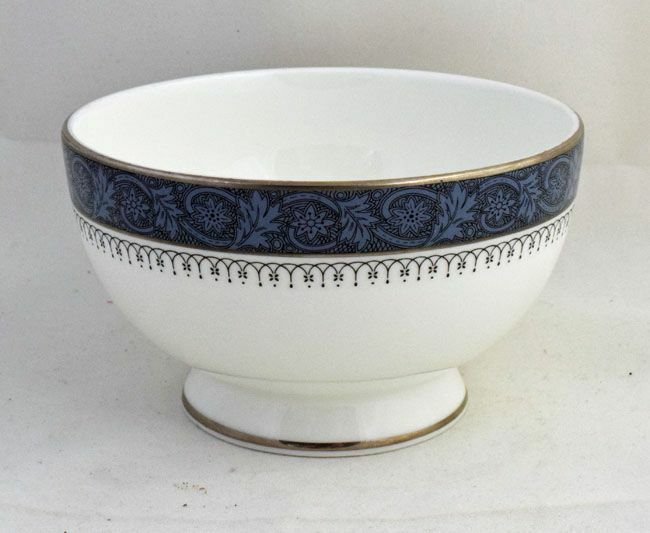 Very pretty and useful open sugar bowls from Royal Doulton in the hard to find Sherbrooke pattern (pattern code H5009). These sugar bowls have a diameter across the top of just over 4.25" and the stand just over 2.5" tall. They are in very good condition. The price quoted is for one open sugar bowl in Royal Doulton Sherbrooke.